I contemplated Matt’s question. He was digging into a ramekin of bittersweet chocolate mousse I had made, and I had just told him I didn’t make it for the blog. You see, I took no particular twist on the recipe, and the heavy cream and eggs I used for it had been bought specifically for the mint chocolate cookie ice cream I made the previous week. Mousse and ice cream aren’t the kinds of dishes you make to use up leftovers, usually. He was right, I could expand on the number of dessert recipes on the site. I opted to make a dessert for the first of many upcoming summer potlucks. 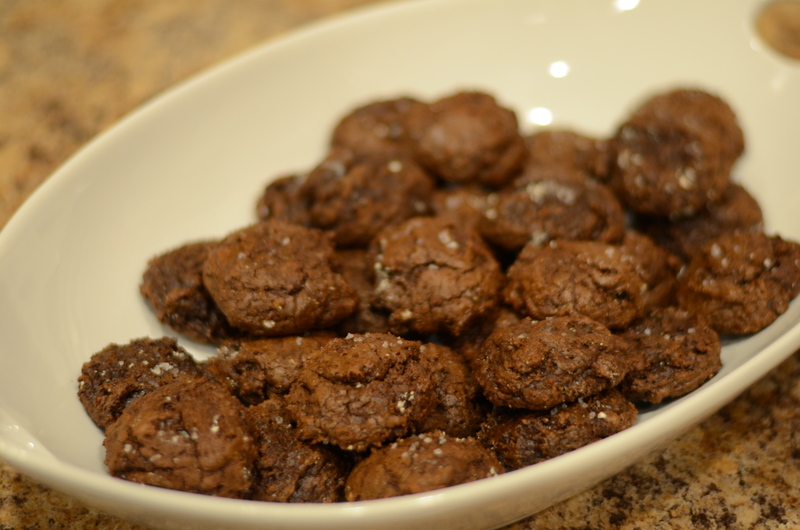 I saved a recent Tasting Table recipe for Salted-Chocolate Rye Cookies. It was adapted from a recipe in a cookbook out of the reputable Tartine Bakery & Cafe series. It looked rich and delicious. So many times when I tell people that the recipe I plan to make for an event or dinner is one I’ve never tried before, I get reactions of shock and horror. But this recipe calls for one pound of bittersweet chocolate. How bad can it be? 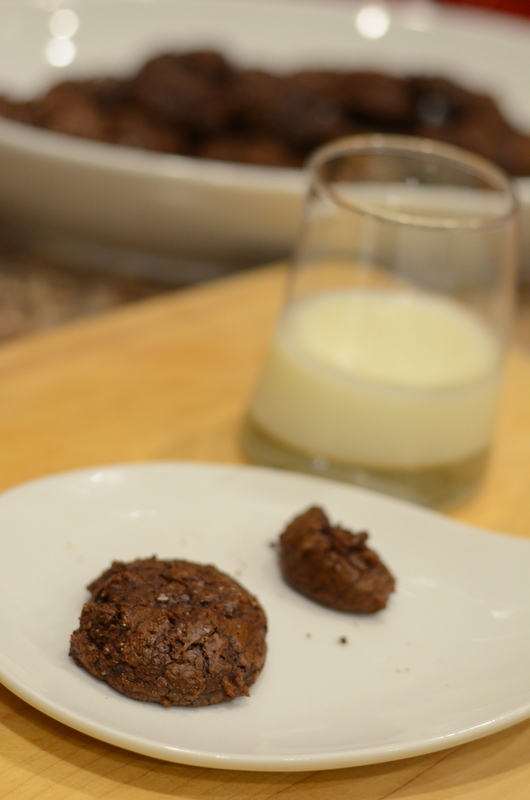 I figure as long as I don’t burn the chocolate, the cookies will be enjoyed by most party guests. 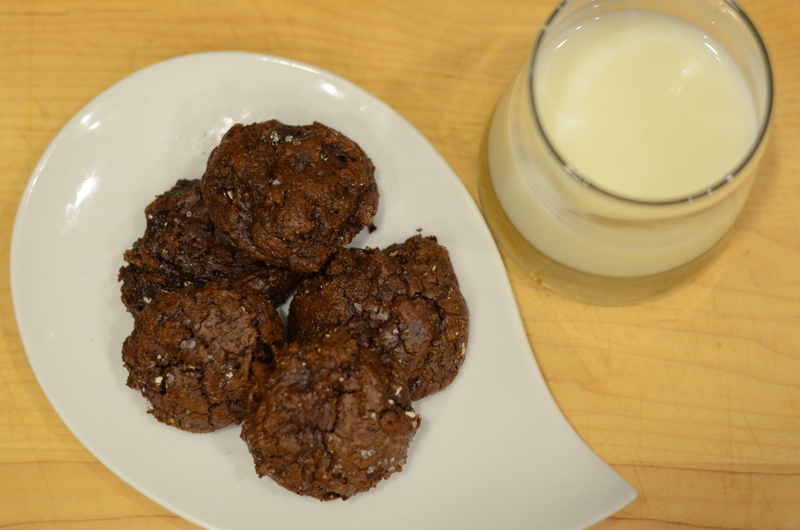 The main draw of the recipe was that it calls for whole grain rye flour, an ingredient I was having trouble getting through after buying from a King Arthur Flour sale. Prepare a small saucepan filled with about 1 inch of water and heat over medium to bring water to a simmer. 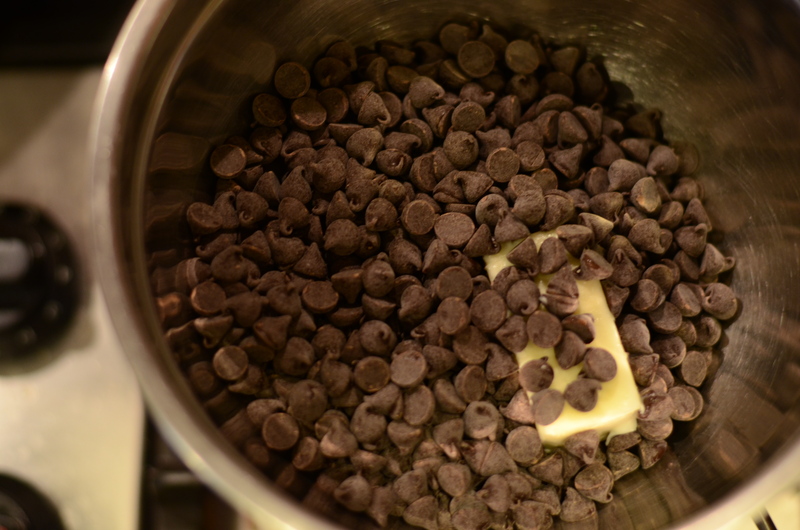 Add chocolate and butter to a heatproof bowl that can hover over the simmering water without touching. 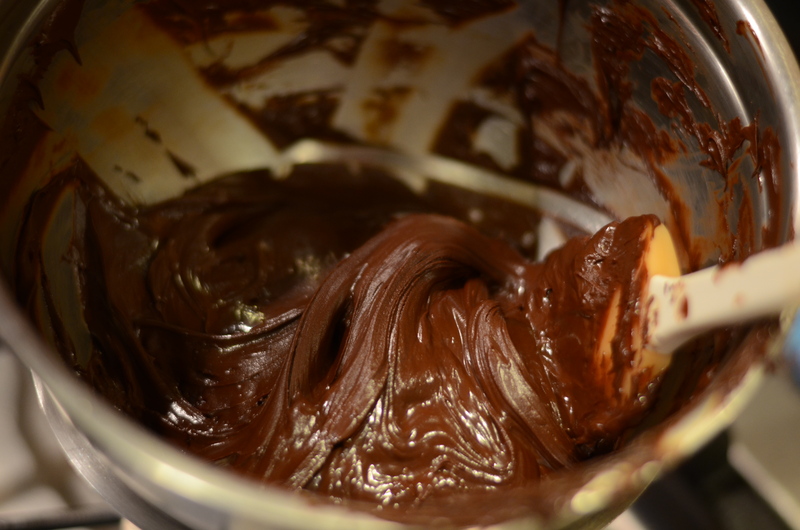 Place bowl over the water and melt the chocolate and butter together. Stir occasionally with a heatproof spatula, taking care to check the bottom of the bowl. The chocolate and butter may take several minutes to melt. 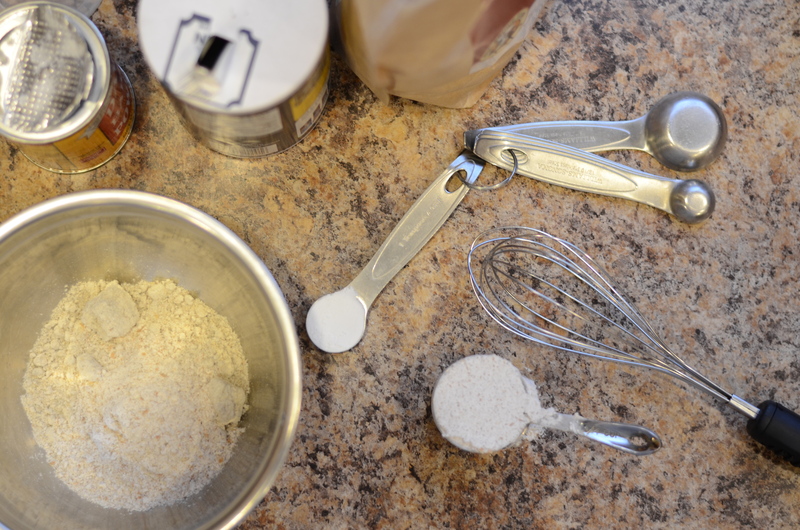 In a small bowl, add the rye flour, baking powder, and salt and whisk together. 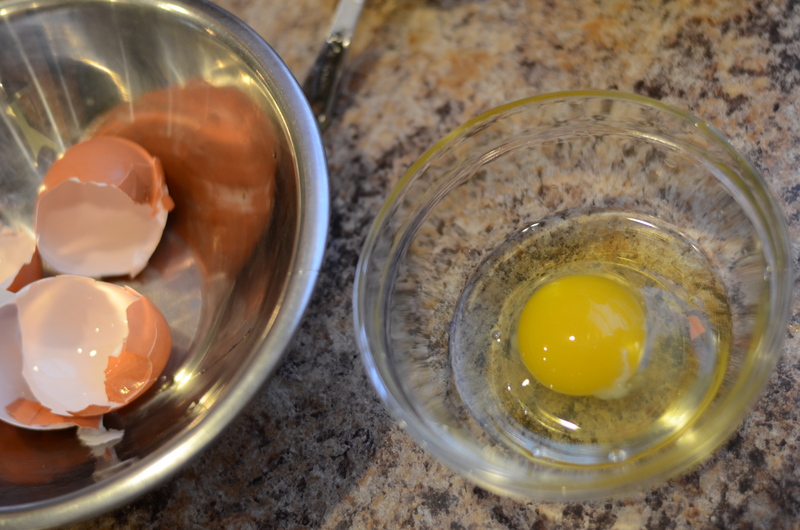 In the bowl of a stand mixer, add the eggs. 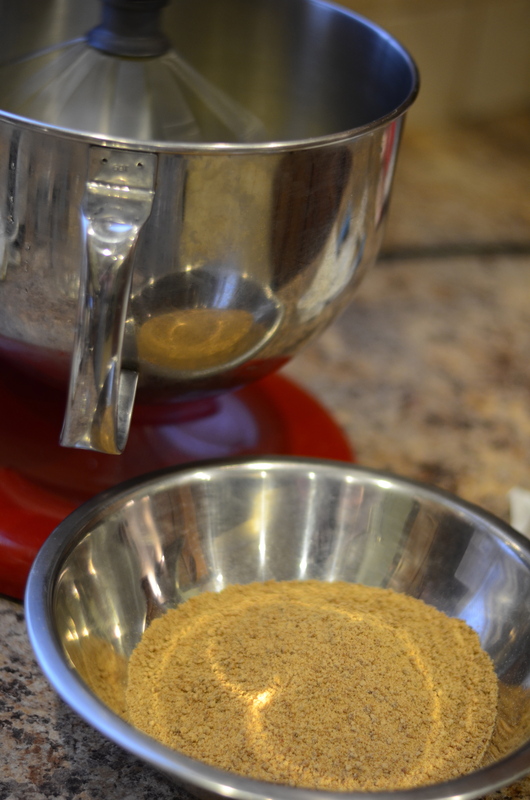 I used organic natural cane sugar from my pantry. 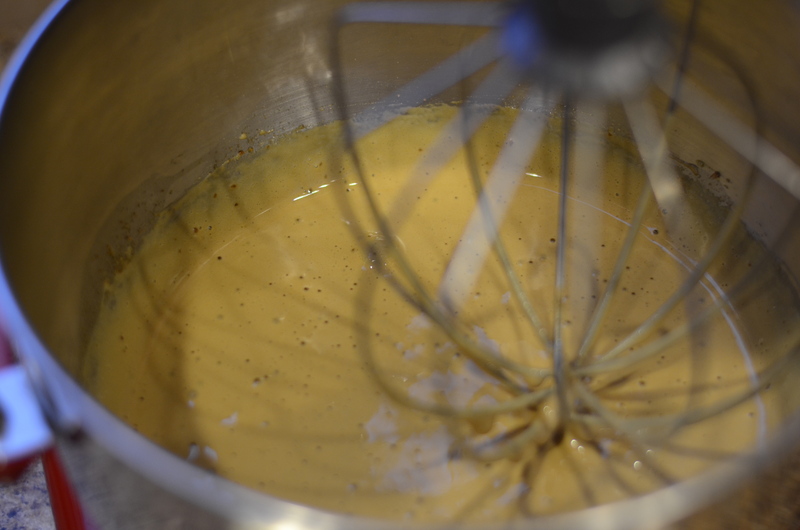 Using the whisk attachment on your stand mixer, begin to whip the eggs on medium high. 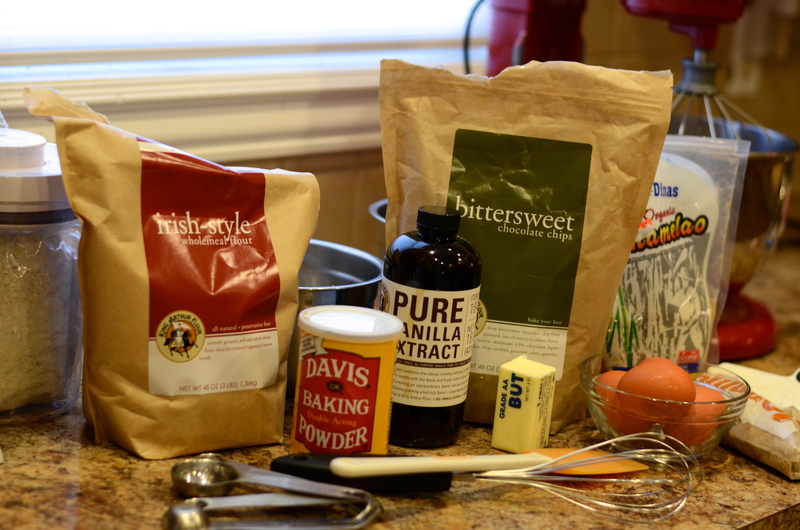 Add the sugar gradually, and mix until incorporated. 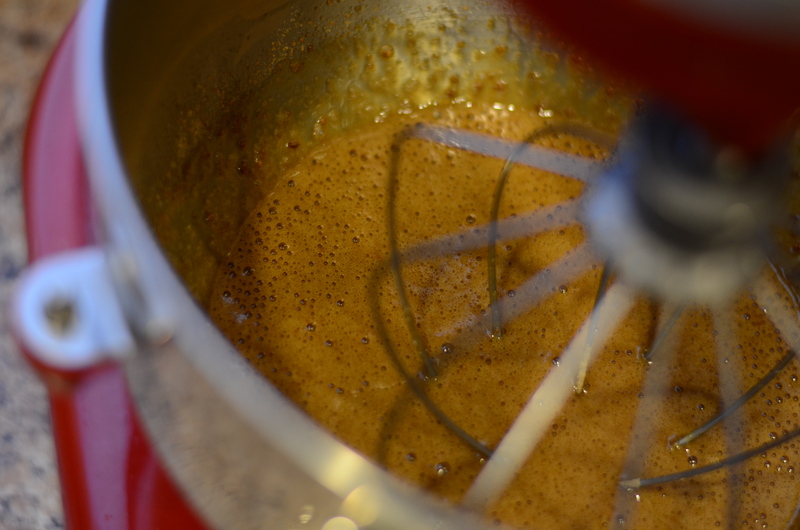 Turn up the mixer and whip until the eggs increased in volume nearly 3x (about 6 minutes). 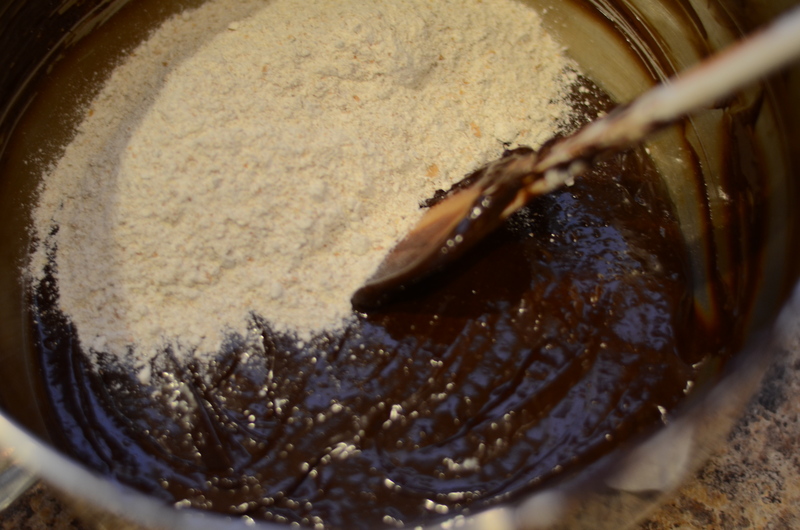 Lower the mixer speed and add the melted chocolate-butter mixture and the vanilla, stirring until fully combined. Add in the flour mixture and stir just until combined. A spatula attachment or manual stirring would be best at this point. The dough will be soft, almost like brownie batter. Refrigerate dough until firm, at least 30 minutes. If you leave it in the fridge longer, it will have to warm up for a little bit before you can scoop it easily. Heat the oven to 350 degrees. Line baking sheets with parchment paper or Silpats. 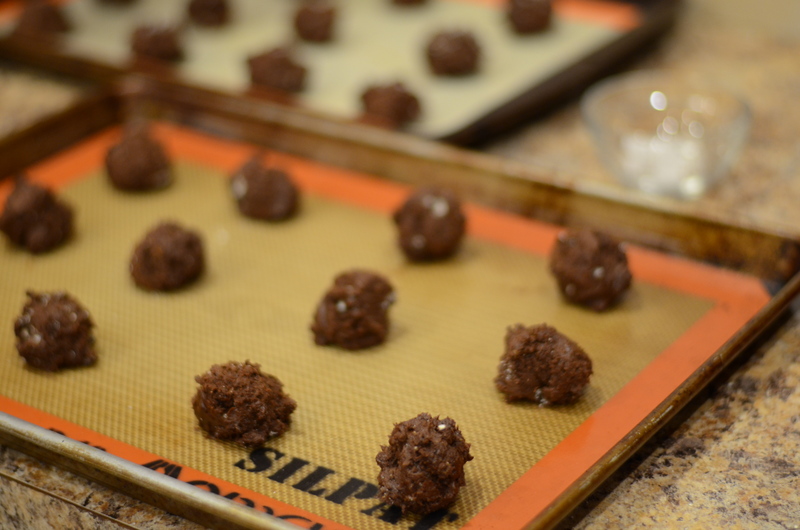 Take dough from fridge and scoop rounded tablespoons onto the baking sheets, spacing the balls about 2 inches apart. Top with a few flakes of sea salt. 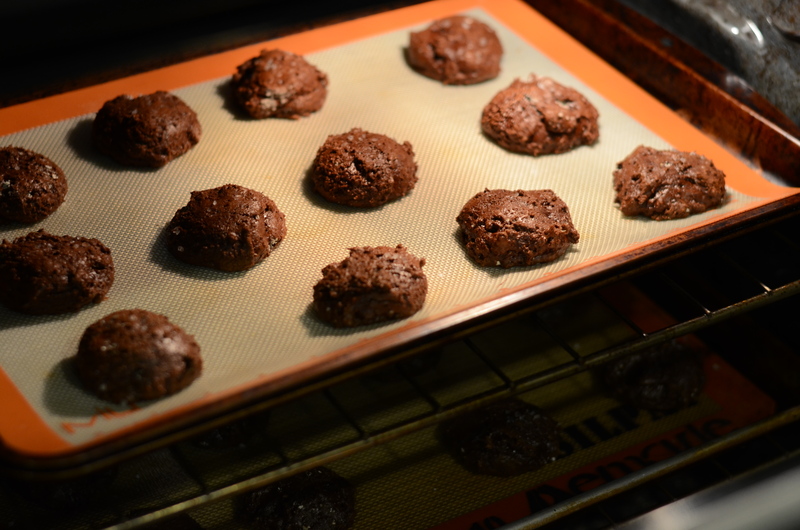 Bake for 8 to 12 minutes, until the cookies have completely puffed up. They should have a smooth bottom and rounded tops. 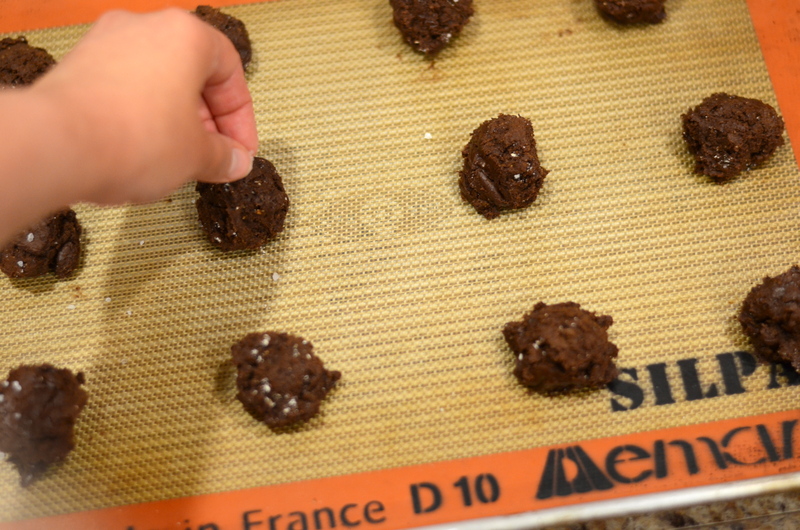 Remove the cookies from the oven and let cool slightly on the baking sheets. Transfer to a wire rack to cool completely. Enjoy within a few days. 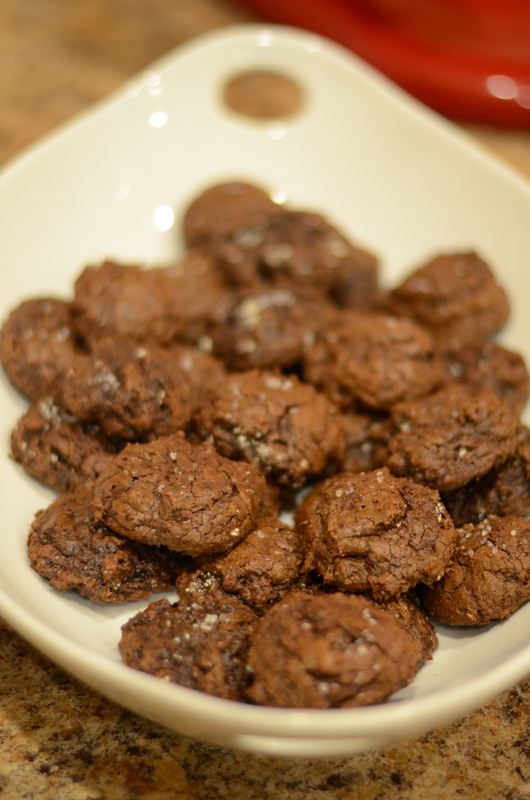 This entry was posted in Dessert, Entertaining, Make-ahead, Picnic-friendly, Recipes and tagged bittersweet chocolate, chocolate cookies, cookies, king arthur flour, rye flour, sea salt, Tartine, Tasting Table, whole grain. Bookmark the permalink.